Barbara Bleiman explores what is meant by literary knowledge and challenges some of the assumptions about what young people need to be taught before they can fully engage with a text. In an article in the TES on 18th January, Is this presumed knowledge which I see before me?, the author argues that students need to be taught a substantial amount of prior knowledge before being able to successfully read and understand literary texts. There are key concepts, ideas and background information, she argues, a body of ‘precise knowledge’ that they are lacking. This view of the need for prior knowledge before reading texts is being aired with growing frequency, and forms the basis of some of the workshop materials shared by Ofsted in their recent presentations on knowledge and the curriculum. However, for me, it raises a number of significant issues and problems. 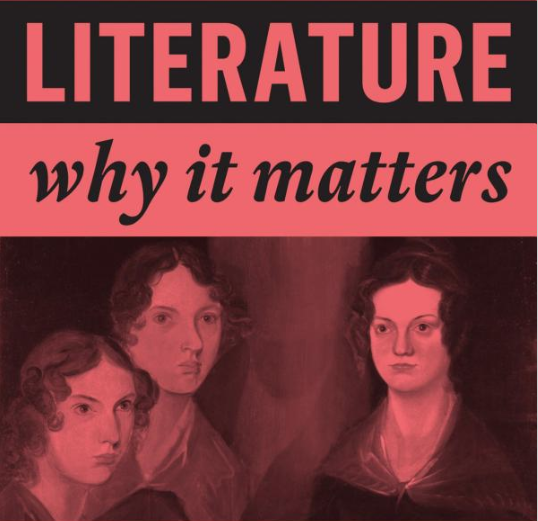 It seems to be founded on some fundamental misunderstandings about literature, the nature of literary study and the knowledge required to read and interpret literary texts, both as experienced readers and critics, and for those learning how to do this. First, I would take issue with the assumption that there is a defined, easily agreed and limited body of knowledge out there, distinct and separate from the text itself, that can be identified and applied to an individual text in a simple and straightforward way. It seems to me that the knowledge you need depends on what questions you are going to ask about the text, how the study is angled and what you and your students decide to focus on. Choices have to be made, otherwise English would become ‘the study of everything you need to know before studying texts’, rather than studying texts! 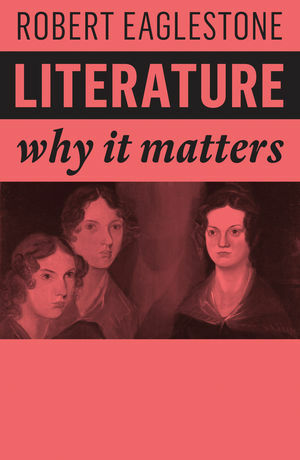 In his new book, Literature – Why It Matters, Professor Robert Eaglestone tries to get to the heart of what is special about literature and literary studies. Knowing about a work of literature is about experiencing it as a process, not – although it can sometimes feel like this – as a collection of answers for a quiz or exam: literature’s the walk not the map. Knowing the chemical make-up of water is not the same as knowing what it’s like to get soaked in a sudden summer storm. If we could know about a text by being given background information, or by explaining its thematic concerns in advance, by focusing on the associated vocabulary as a requirement before reading, we would never have that walk in the rain, or we would at the very least delay it considerably, abbreviate it by spending most of our time putting on our walking gear, and perhaps end up finally doing it so wrapped up in waterproofs that we barely notice the rain. Second, it seems to me that the development of students as readers of literary texts happens not through an accumulation of knowledge applied in a simple transactional act of learning knowledge and then applying it to texts. The educationalist Arthur Applebee describes the study of English as entering into a series of significant disciplinary conversations that have taken place over time. In terms of the classroom, (where he and colleagues Langer, Nystrand and others did large amounts of fascinating, but rarely quoted, research), he describes the most effective English teaching as being that in which the conversations that happen (in speech or in writing) are of the kind that could take place at any level from primary to post-graduate, and be recognisably the same kinds of conversation. So, in terms of a play like Macbeth, discussions around dramatic irony, or comic relief, or the dependence of drama on conflict, or what we mean by tragedy (along with many more) would be identifiable as ‘English’ questions. Equally, Applebee argues that classrooms where these conversations are developed and continue over time (through connections being made between one text or topic and the next) produce the most effective and powerful experiences of learning in the subject. In practical terms, this means developing a curriculum where links are made, where questions asked in relation to one text are picked up on in another and so on. The questions asked of a particular text may vary, according to what comes before and after, so that ideas are picked up again in new texts and contexts. In terms of current thinking about learning being all about committing knowledge to memory, this kind of ongoing conversation is much more convincing to me than the idea of committing factual information to memory. If you have learned something about different kinds of narrative voice in one novel, then the knowledge learning that matters is being able to apply it to the next novel you study, drawing on your understanding in the previous text to gain fresh insight into the new one and consolidate and build on that knowledge. Third, there is a very important question to ask of the ‘chicken and egg’ kind. Do you need to know a lot of specific things in order to study a literary text, or does the text itself teach you much of what you need to know? I would argue that texts usually provide much of their own knowledge. This question presented itself starkly to me and my colleagues when we looked at the recent slides and presentations from Ofsted’s workshops on the curriculum. A text was introduced by Robert McFarlane, an extract from his non-fiction book Mountains of the Mind. The presentation made the case for this same ‘knowledge-absent, knowledge-needed, knowledge-offered-before-reading’ approach to literary study. So, in answering the question, ‘What do you need to know to be able to understand this extract from the McFarlane’s book?’ all kinds of things were suggested, from knowledge about mountains, to the biology of the body’s response to cold. The fact is, this best-seller would never be read by anyone apart from experts in anatomy or mountaineers if readers needed this kind of knowledge to read it. The book provides its own knowledge. People read it to find out more about mountains and the writer’s understanding of them. This applies equally to texts in the classroom. There are, of course, some things that it’s helpful for students to know if they don’t know them already – and it is the teacher’s role to bring these in, to enrich and deepen understanding. But often these things can be taught along the way, as they crop up. Occasionally something is so important – and so unexplained in the text itself – that it might need addressing before reading. But in general, I’d argue that the text can do its own talking, provide much of its own context and the significant literary issues are those that come from reading and talking about it – in other words, getting soaked in the rain, as Eaglestone puts it. As I’ve suggested, there’s a body of work in English in education, drawing on work on the subject discipline in the academy, that corroborates this view. There’s also the experience of teaching texts, or working with teachers, and discovering that far too much time is sometimes spent on extra-textual study, historical or biographical context, extraneous facts, and not enough on the text itself. (The English Examiners reports for GCSE and A Level have also recognised this as a serious problem). But now, there’s some new evidence I feel able to draw on, from some recent research I’ve been involved with the English and Media Centre. In the Autumn Term 2018, I worked on a research project with a colleague, Lucy Hinchliffe, in her school in outer London. (She works one day a week at the English and Media Centre, and four days a week in school). We constructed a piece of research on teaching a class novel in Year 9, with half of the whole school cohort following the Scheme of Work the department has used for some time, and the other half following a scheme devised by the two of us at EMC. This gave us scope to compare the work of the two groups along the way, as well as the written outcomes in their exercise books and final assessments. We did student and teacher questionnaires, and held a department meeting at the end of the project to share the findings. The text was In the Sea there Are Crocodiles, a novel written by the Italian journalist Fabio Geda, based on his interviews with Enaiatollah, a boy migrant from Afghanistan. The book is Enaiatollah’s story. One of the key elements of the EMC scheme, by contrast with the existing scheme, was the development of knowledge about texts in the form of an ongoing classroom conversation. Important concepts were developed in dialogue, (both whole class and small group), students were encouraged to think hard for themselves about the nature of the text as a narrative, and to reflect on what was most interesting and characteristic about the writer’s style and approach to his subject matter. This way of studying was very much in line with the Eaglestone and Applebee view of what it means to study literary texts – the students took the walk through the novel. In the original scheme of work, followed by half the cohort, the students spent the first few lessons being given information about Afghanistan, the Hazaras and Pashtun tribes and the migrant ‘crisis’ in Europe. They explored images of Afghanistan and its people and they did research. In other words, they were provided with a lot of prior knowledge that the teachers believed they needed in order to study the text. The ‘EMC’ group, by contrast, jumped straight into the book, working initially on fragments from the text to develop some initial ideas about what would be significant in the text. Their first lessons were all about the text as a work of literature, raising issues about whether it was fiction or non-fiction, its genre, its rites of passage structure, the nature of its voice, unusual aspects of its style and ways of telling and the impact on them as readers, including their response to some quite emotional and highly charged events in the first chapter. There was a discovery that the students themselves had quite a lot of knowledge that they could bring to bear about Afghanistan, Pashtuns and Harazas and the migrant ‘crisis’ in Europe, and, even if they hadn’t had that, most of what they needed to know was there in the first chapters of the book. The focus of the lessons was on developing understandings about the text that were ‘literary’ knowledge that could be built on and developed in future learning about other narrative texts. So, for instance, students were encouraged to think about what was ‘characteristic’ of this text, as compared with others they might have read in the past. The study of the text would start a ‘conversation’ that would develop over the course of Year 9, and extend into KS4 and beyond. In the writing of the ‘EMC’ groups that we collected during the project, one can see students confidently talking about narrative voice, the nature of fact and fiction, rites of passage novels, narrative structure, symbolism, unusual shifts in perspective and more. They make valid and authentic points about the text and write at considerable length. It is clear that they have done the walk, and been soaked in the rain. Interestingly, now they have moved onto the study of another novel, Great Expectations – a rather well chosen text in continuing the literary conversations they have begun – the teachers are reporting that their students are making natural, unprompted and well-considered connections between the Geda novel and the Dickens. For instance, students have been remarking on a different rites of passage structure; while the Geda moved from dire circumstances, through ups and downs, towards better fortunes, the Dickens seemed to follow a different kind of trajectory. So, where does this leave us? It seems to me that knowledge in English has its own organising principles and its own special qualities. It isn’t necessarily the same as in other subjects. Knowledge accumulates and develops across texts and over time (via a disciplinary set of conversations). Historical and other extraneous knowledge are often found within the texts themselves, or need to be offered in appropriate amounts along the way, not ladled out in advance in hefty portions. Texts need to be read and experienced, background information should be just that – background, not foreground – and students need to get well and truly soaked in a big range of texts that provide the literary context for each other. FANTASTIC article and needs to be disseminated as widely as possible before the knowledge-led- teach- like- a -champion lot take over the curriculum!
' It seems to me that knowledge in English has its own organising principles and its own special qualities' . Exactly and the generic notions of knowledge need to be challenged.